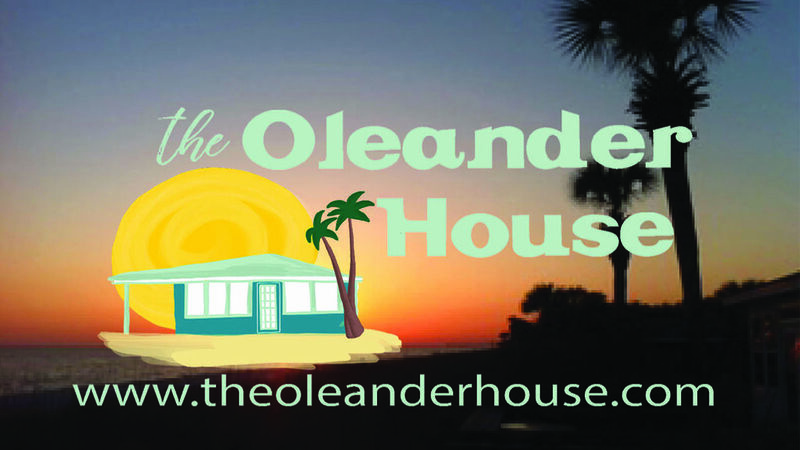 The Oleander House (check out theoleanderhouse.com) is an attractive home located on Oleander Drive, center of Panama City Beach. In a family home area, your children and grandchildren will enjoy the 'award winning' white sand and emerald waters of the Gulf right in front of the house! With five bedrooms, three full baths, two living rooms, glass front porch, huge deck right on the ocean, washer and dryer, dishwasher, etc.and location, location,location,this will be a great family vacation! Front house (beach side) has two and a half bathrooms. . Back section (street side) has large bath with tub/shower. The Oleander House has your private deck right on the beach! Watch your family play as you relax gulf front. Two living rooms so your family groups have privavcy. Large family dining table with great beach views.Seats 12. Inside kitchen table sits 4. Several golf courses within 3 miles of home. Charcoal BBQ, 2 Kitchens, 2 Living Rooms, Huge sun room right on the Gulf! A WONDERFUL vintage Florida family home on the beach to create memories.located right in the middle of everything to do at PCB. Small Pets allowed with $300 pet fee. No bath linens provided! Close to Waverunner & Parasail Rental Stand, On the beach! Close to Frank Brown Park for ball teams and Pier Park for shopping. We are CENTER Panama City Beach.